Bonneville Power Administration (BPA) is currently the center of complaint from a coalition of leading Pacific Northwest clean energy companies. BPA is part of the U.S. Department of Energy and provides up to 35 percent of the energy in the Pacific Northwest region. Despite BPA's work with Iberdrola on a pilot wind program that company, along with PacifiCorp, NextEra Energy Resources, Horizon Wind Energy, and Invenergy jointly filed a complaint against BPA's stronghold on energy sources in the Pacific Northwest. According to this coalition, BPA was abusing its power by breaking its contracts and seizing transmission rights. The BPA is seeing an over abundance of hydro power at the moment, which the federal agency has said in the past forces it to issue energy cut off orders for other forms of energy feeding into its grid, such as wind power. 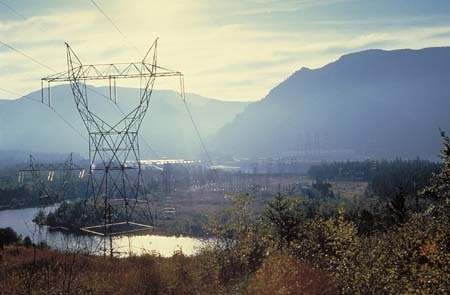 The complaint was filed with the Federal Energy Regulatory Commission (FERC) and, according to Don Furman, senior vice president of Iberdrola Renewables, "the policy is the most egregious example of BPA choosing to not play by the rules that apply to other transmission providers. . .this is setting a dangerous precedent for the sanctity of contracts in the Pacific Northwest and. . . will greatly jeopardize the development of renewable energy in the region." Collectively, the coalition has invested more than $6 billion in new renewable generation in the Pacific Northwest. This huge investment in mostly wind infrastructure is in large part where concern looks to be coming from here - wind turbines not spinning to put energy into the grid means likely lost revenue.